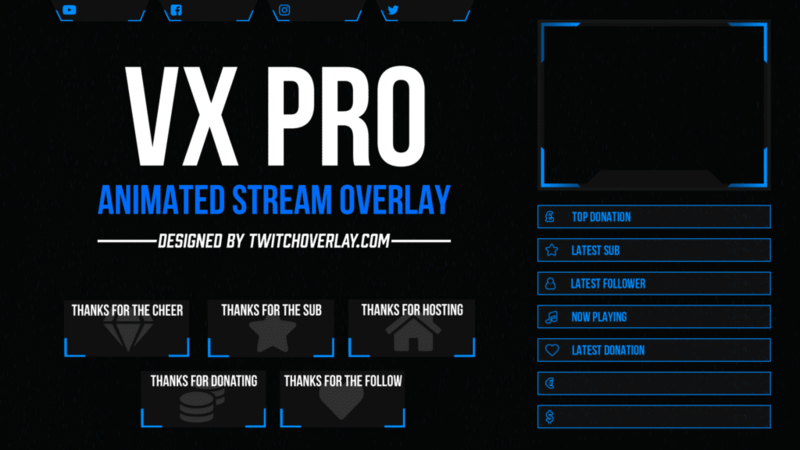 VX Pro Blue is a fully animated blue twitch overlay for use on Twitch, YouTube, or any other streaming platform. 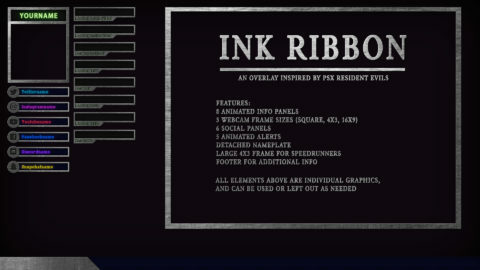 It comes in an eye-catching, cool blue colour, and features pulsating panels, social boxes with rolling (and platform-applicable) colours, a group of monochrome alerts with blue trimming, a background with falling blue rain, and a fully stylised and animated webcam featuring a lower space to place your name. 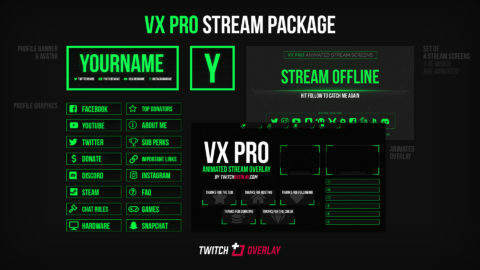 If you’re looking for some complimentary, animated stream screens in the same style as VX Pro Blue, you’re in luck! 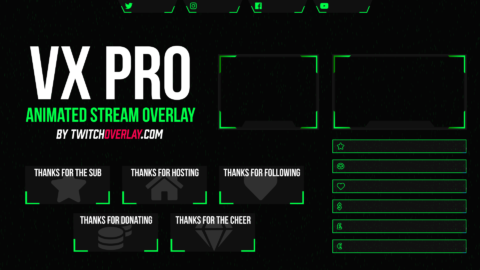 Check out this set of 4 screens that let people know you’ll BRB, be starting soon, ending the stream, or offline. Is red more your shade? VX Pro is available in that colour too! Click here to check it out.